morocco is a great place for buying souvenirs of all sorts. the most impressive market is of course the souk in marrakesh. nearer to the central place, the jamaa el fna the prices are the highest. the prices are lower in smaller towns or villages, like tinerhir/tinghir. generally when you are buying souvenirs or handcraft you can lower the price by 50%, sometimes even 60-75%. ask a local if you want to know what the thing is really worth. don't haggle when buying food on the market, it's not considered polite. you'll be paying a bit more then a local but since the food is already so cheap it makes no real difference. 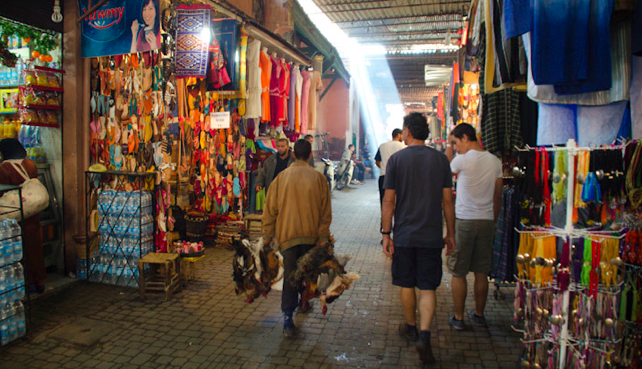 it makes sense to travel to morocco with older clothes and other stuff you can use to bargain. often the salesman in street shops ask if you have things to bargain for. there are loads of beautiful hikes and trekkings around the todra canyon. usually you will need a guide since there are no marked paths. just ask at your hotel and they will arrange it for you. it's also possible to rent a bike, but there are not many good bicycle paths apart from the main road. you can also walk to tinerhir/tinghir trough the date grove. it's a very beautiful walk that takes around 4 hours for 9 km. there is no definite path, just follow the small paths that connect all the fields. stay near the river and you won't make big detours. as soon as you get to the big car bridge follow the road to the right into the center of tinerhir/tinghir. 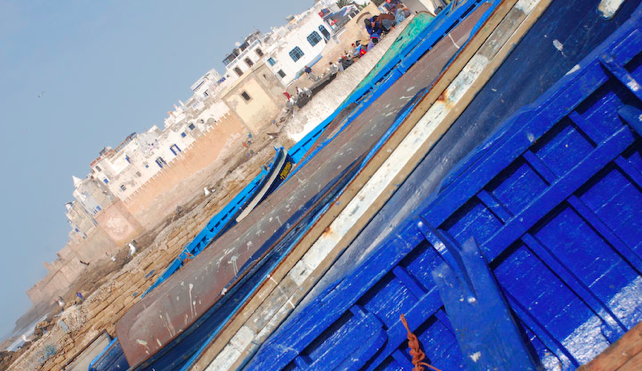 from marrakesh you can easily go on a one-day trip to the sea: essaouira is the preferred destination. a very beautiful, although maybe a bit too touristic, town on the coast, with a castle and a harbor. you can also go for a trip to the atlas mountains and visit the small mountain villages. there are also some beautiful waterfalls to visit. for further information check a travel guide or directly at your hotel. starting from todra you can go on a trip to the canyon of dades that lays in direction of ourzazate. there is a bit of climbing there as well and the canyon itself is also very scenic. getting there with buses may result a bit tricky but it's possible. a good two-day trip would be the one to merzouga, a village south of rissani and just at the boarder to big sand dunes. when traveling between todra and marrakesh the old kashba of ait ben haddou near ourzazate is worth a visit. although it's also a bit trick to reach with the bus.